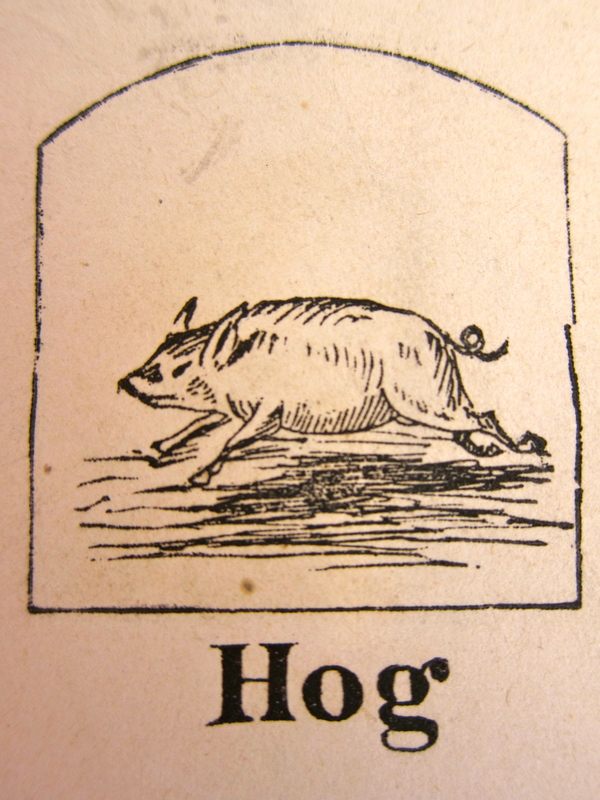 Yesterday Old Oliver “kild six hogs [… and] the everage weight of the whole 12 was 413 pounds the heavyest weighd 489.” Oliver had given each offspring – Oakes, Oliver Jr., and Sarah Witherell – a pig to cut up and preserve. Upset as she was over the news about her eldest son, Oakes Angier, Evelina and her two servants worked to break down their pig into a manageable, edible assortment of pork. Sausage, of course, was a standard way to process and keep pork over time. So yesterday and today, the women cut and grounded meat, ending up with 60 pounds of sausage and 14 pounds of lard. No doubt Evelina was preoccupied with thoughts of her son, but she may have found some comfort in keeping her hands busy with the necessary chores of the kitchen. She took the opportunity of riding with Oakes Angier to the family farm, perhaps to share the news with her mother and brother Alson. Oakes Angier rode on to West Bridgewater. Might he have traveled to call on the Hobart family as well? He must have had to tell Catharine Hobart that he was leaving for Cuba and an uncertain future. Susan Ames, once so rebellious at the piano, “practiced an hour this evening to” her mother. Do we imagine too much to think that she was trying to make her mother happy?